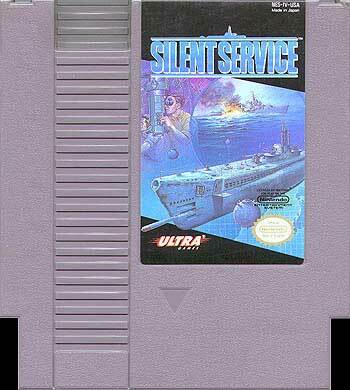 Silent Service original NES Nintendo Game cartridge only - Cleaned Tested and Guaranteed to Work! It will take patience to master this game but it is a great game if you can get into it. Cart arrived quickly and was in great condition. just to add to the library but the game is pretty good, i got it exactly as lukie games said always confident in anything i get here THANKS!!! It's cool have in my collection , but, have a better games for play ! If you buy an old games, buy this! If you Like Sub Games! i totally recommend this game if you have patience and tact that is required of a submarine captain. this is a truely fun experiance if you are willing to learn, and take your time. Submarines are also known as wolves of the sea, Stalk your prey, and take em down with one well placed torp. It's a decent submarine battle game if you take the time to learn the mechanics. Unfortunately, it can be hard to learn those mechanics, and become very tedious, very quickly. One of my favorite battle games . It's a little hard to learn at first but once you do .you feel you're actually in a WWII sub battling the Nazis . Look online for a manual after you buy the game or maybe before to see what the game is about . 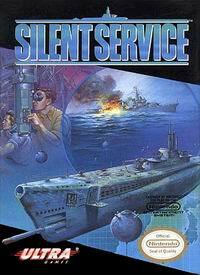 Silent Service is a game where you pilot a submarine and your mission is to seek out and destroy enemy ships with a limited supply of torpedoes. The game is quite hard and tedious at times as you have to do a lot of traveling from one location to the next and hitting moving ships isn't always that easy. This game isn't bad, but its not great I'd only recommend it to someone who can stand tedium. Its an alright game.